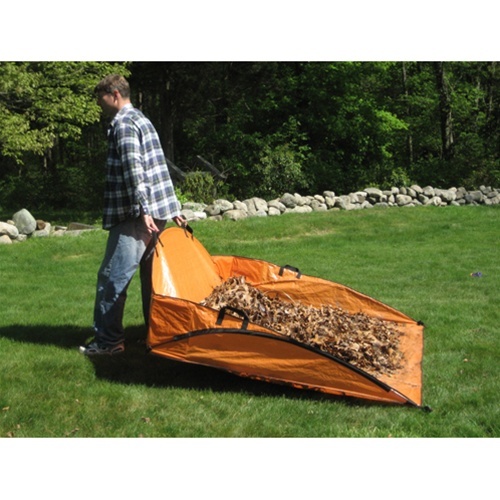 EZ Leaf Hauler | 0007 | Free Shipping! 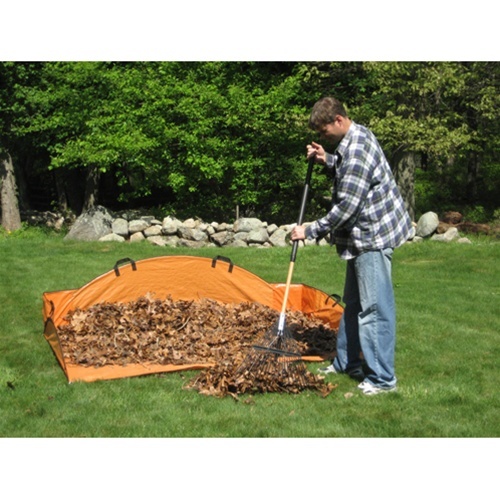 The EZ Leaf Hauler is your ultimate lawn care solution! 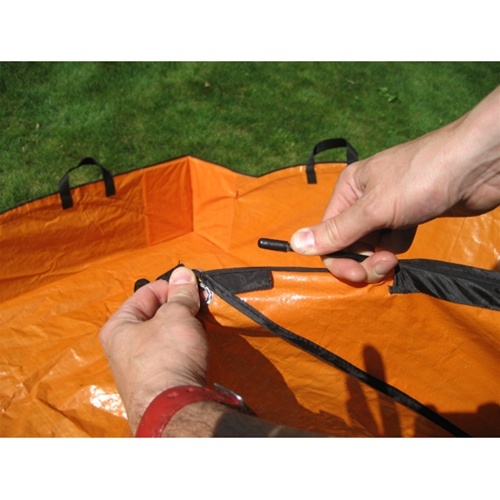 It's better than a tarp, because it stakes to the ground, won't blow away, plus it has sides, so the leaves won't blow away either! It's better than a wheelbarrow, because it holds 5 times more refuse. 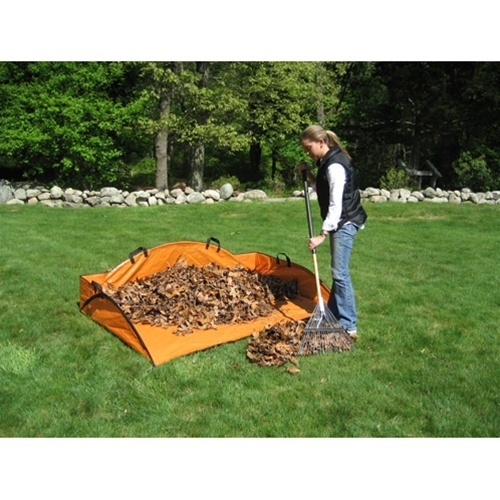 The EZ Leaf Hauler also folds up neatly for compact storage. 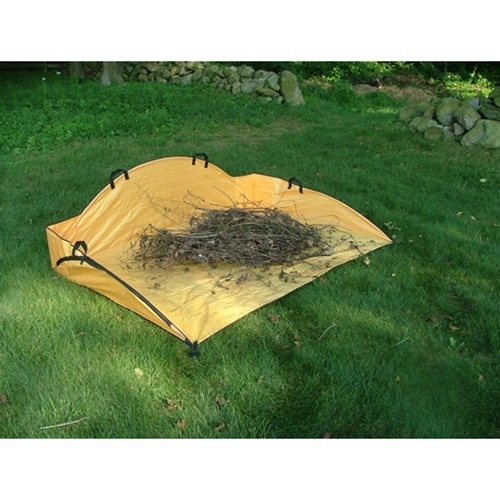 Featuring 35 square feet of surface area, this product is like a giant dust pan for leaves. 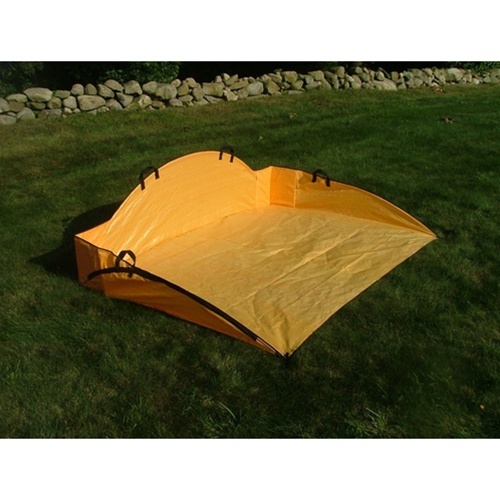 It's constructed of durable woven tarp material, so it's rugged and long lasting. 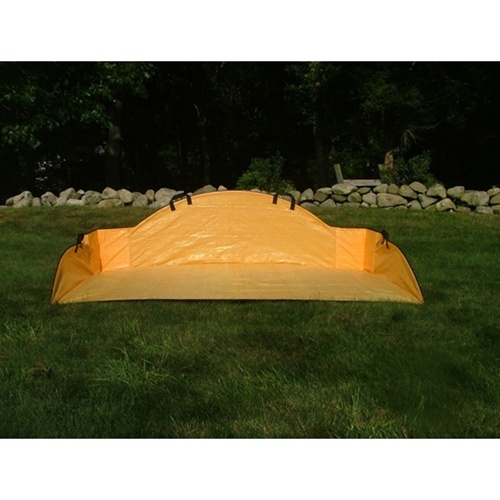 Don't waste your money on a tarp... consider the EZ Leaf Hauler instead! 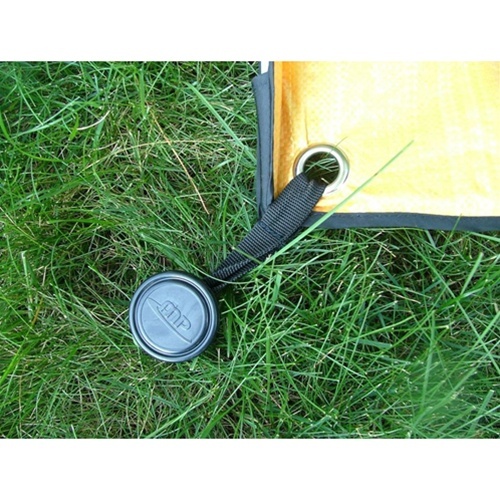 Also available in a smaller sport size!